!! OMG, think of the children! Police Raid Justin Bieber’s House, Find Ecstasy And Xanax Party Underway !! Singer Justin Bieber’s house was recently raided by police, who upon entry, discovered drugs belonging to friend Lil Za, who was arrested on suspicion felony drug possession. Initially, the substance was reported to be cocaine, but is now believed to be Ecstasy and Xanax, though lab tests will be needed to confirm it. The police initially searched Bieber’s residence looking for surveillance footage that might serve as evidence the pop star was involved in an egg-tossing vandalism case that caused thousands of dollars in damage to a neighbour’s home. Damages were estimated at $20,000. 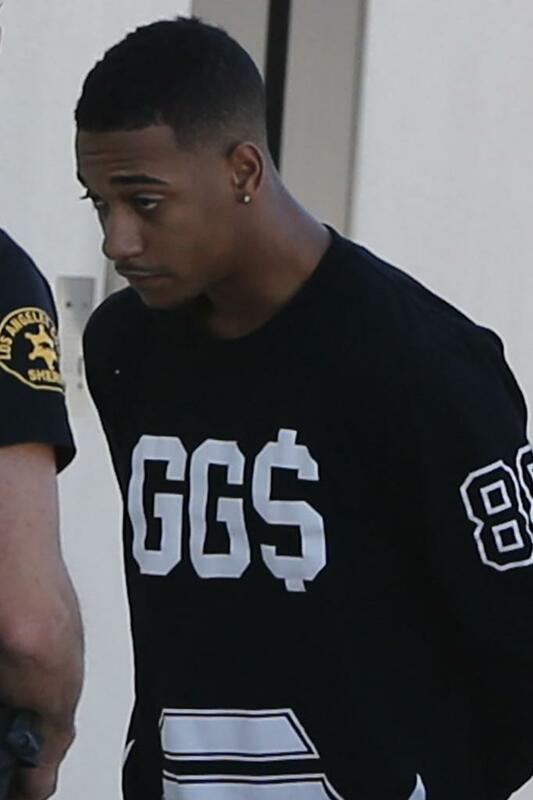 The suspect was identified as Xavier Smith, 20, who performs under the name Lil Za (pictured below). Smith was set to be released later Tuesday after posting a $20,000 bond, but while in the booking cell, he allegedly broke a telephone while trying to arrange his bond, and was then charged with felony vandalism for the phone incident, according to Los Angeles County Sheriff Sgt. Chad Waters, the watch commander at the Lost Hills Sheriff’s Station. Now, my question here isn’t related to charges, but wondering which one of you will get on CafePress fast enough to make a mint on “FREE LIL ZA” shirts first?! Total goldmine! Thank me later! » NEXT ENTRY: OMG, the spawn of Satan: ‘Devil Baby’ terrorizes NYC, hilarity ensues! 2 Comments on "OMG, think of the children! Police Raid Justin Bieber’s House, Find Ecstasy And Xanax Party Underway"
This little puke can’t fade into appearances on “Celebrity Rehab” and “Where Are They Now?” fast enough. Why does Bieber surround himself with rappers? He is about as vanilla as it gets (Christ, he’s Canadian!). Just because you surround yourself with bad asses doesn’t mean you are one yourself. He is a Chihuahua among Great Danes!